City administrators continue to claim publicly that "we are doing everything we can" to address systemic injustice in South Bend. They continue to claim that "South Bend can lead on issues" of racial and economic injustice, and in areas like police / community relations, but the bottom line is that without clear, decisive, and significant action -- this is all just hallow talk. I know for a fact that leaders on these issues in our community have reached out to the Mayor's office, the South Bend Police Department, and other city officials in the past. They have offered their skills and leadership. They have offered to donate their time and energy to find concrete solutions to problems that we all admit our city can do better on. And their offers have been ignored. 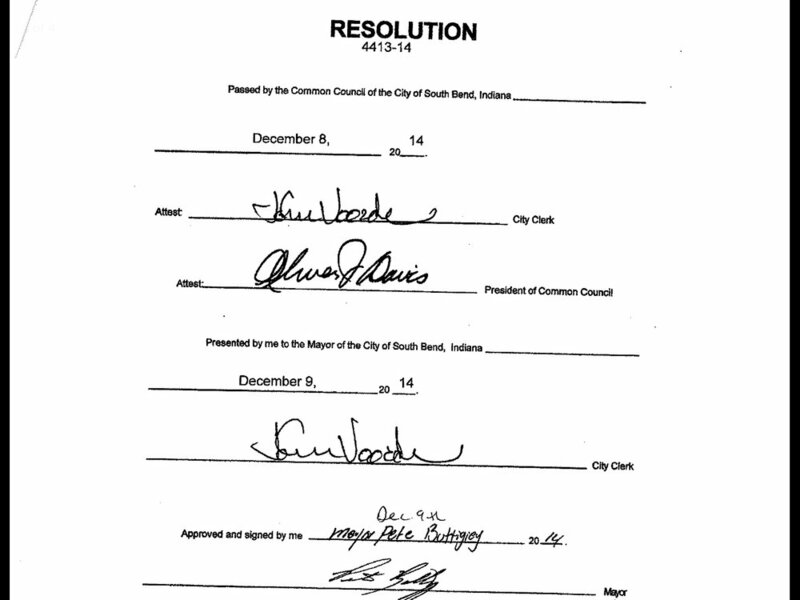 A few years back the Common Council past a resolution (signed by the sitting Mayor) calling for concrete steps to be taken to address the very issues we are faced with today. Between the signing of that document and today, none of those steps have been taken. So far as I can tell, these recommendations died on December 9th, 2014, before the ink of the Mayor's signature had even dried. Here's the problem, though: such calls for transparency seem to fall on deaf ears. It doesn't matter whether the Mayor and his staff (and the Chief and his department) are working around the clock to solve these problems, they are failing to bring community leaders into the discussion -- to the detriment of our community. They are failing to listen -- or to communicate that they are listening (if they are) -- to those who are desperately conscerned about these issues. As one longtime community leader put it in conversation with me, "It's just the same old thing. They aren't interested in hearing what we have to say. They just want to maintain business as usual." That's not the sort of attitude you find on the ground when leaders are effectively communicating -- and actively listening -- to their constituents. I've been working actively with a group of some of these same community leaders on a concrete proposal to move the city forward on these issues. We're recommending that the city reach out to a number of active citizens be asked how we can best identify and address concrete needs of the community with respect to the issues that have recently risen to the surface. The city could easily form such an oversight committee -- it has been done before -- and it would literally cost nothing in addition to what is already allocated in departmental budgets for this very purpose. We have yet to hear back from the Mayor and a few other city officials.